Home > Reviews > Axis > Bronco Kit No. CB35120- Turan I Hungarian Medium Tank 40.m. 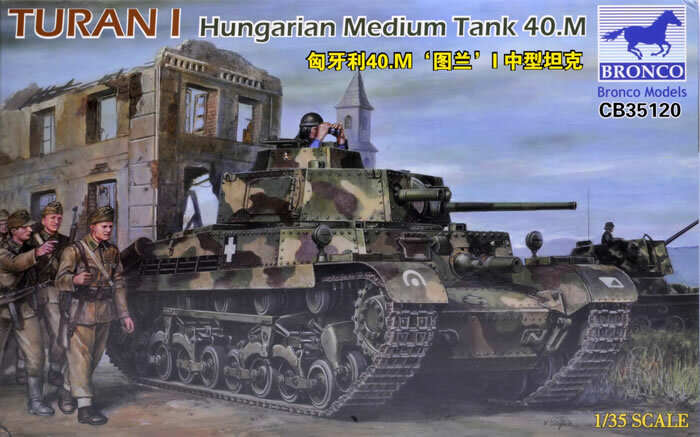 Turan I Hungarian Medium Tank 40.m. Stock Number and Description Bronco Kit No. CB35120 - Turan I Hungarian Medium Tank 40.m. 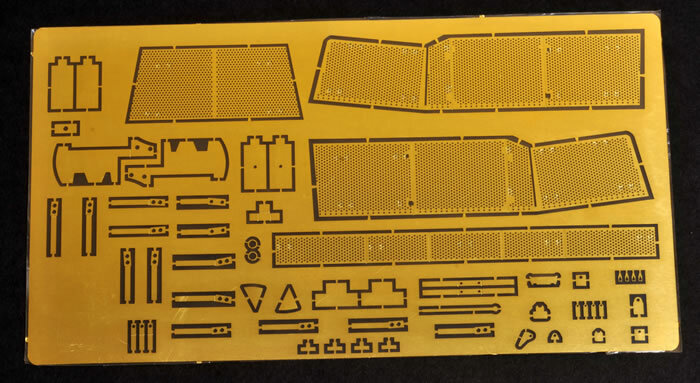 Media and Contents: 517 plastic parts over seven sprues, together with 216 track links over 19 runners, 108 photo-etched parts together with a medium size decal sheet with 5 marking options. Advantages: High level of detail; beuatifully thin mouldings. The Turan was a Hungarian medium tank based on the Czechoslovakian Skoda-S-llc. The main 40mm gun was the standard Hungarian light anti-tank weapon and could fire the same ammunition as the Bofors 40mm anti-aircraft weapon. The gun was mounted in a riveted turret. A total of 285 were produced between 1941 and 1943. To me, this tank always looked like a beefed up version of the 35t and being a fan of that type I have always been drawn to it. When opening the box, the first thing that strikes you is the overall quality of the presented package; it looks and feels like a well thought out kit. As with most Bronco kits there are parts a plenty and this one is no exception. 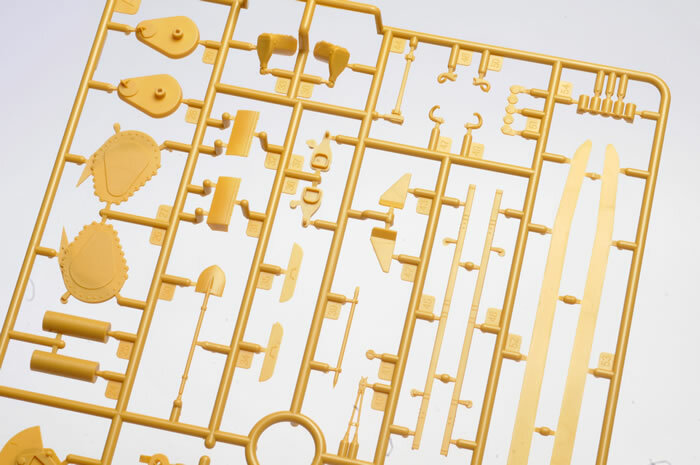 There are 517 plastic parts over seven sprues, together with 216 track links over 19 runners, 108 photo-etched parts together with a medium size decal sheet with 5 marking options. I noted straight off the bat the large photoetch fret and having built and reviewed Bronco’s earlier “Zrinyi” was somewhat dismayed at the time that the side skirts were slightly incorrect as they missed out on the characteristic perforations along the length of the skirt ends. I am happy to report that error has now been corrected, and the ones in this kit look perfect. The kit made up is now the industry standard of a lower hull tub onto which a hull top is placed. The fit between the two is bullet proof and no filler will be needed on any of the joints. The next step is to assemble the bogie units. 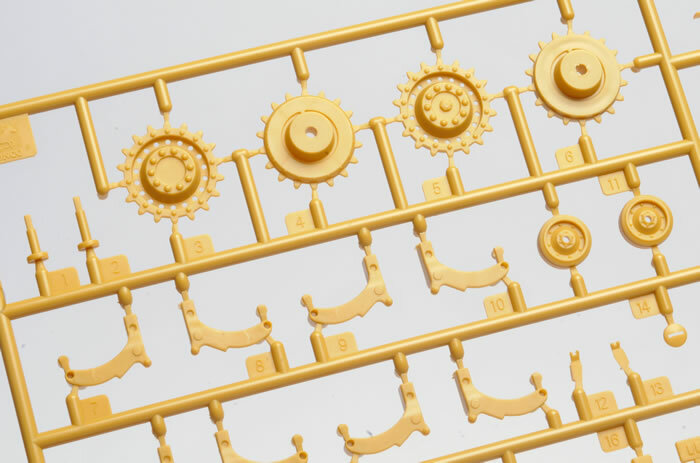 There are 34 parts that make up one bogie assembly and they are designed to fully articulate (just like the real vehicle). Added to this, the need to multiply this by four (as there are two assemblies per side).you have a whole lot of clean-up. 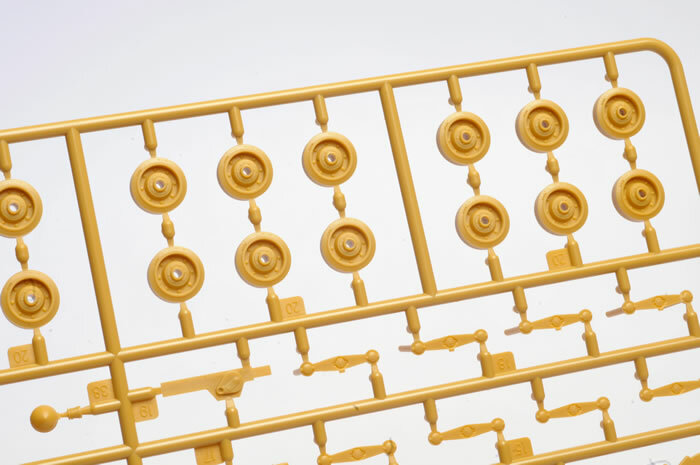 Due to the engineering involved to make each assembly articulate a certain amount of give has been moulded into these parts. This results in an assembly that is tricky to keep straight and true. The whole assembly has a sloppy feel to it. The next step is to assemble the return rollers each assembly has no less than six parts each, multiply this, by eight as there are four per side and you have a whole lot of clean-up to do. Some of the parts on these assemblies are ultra-small such as the end retaining nut for instance, and one has to wonder why Bronco has taken this overly complex approach. Nevertheless, once completed, the assembly is a very detailed and complete unit. 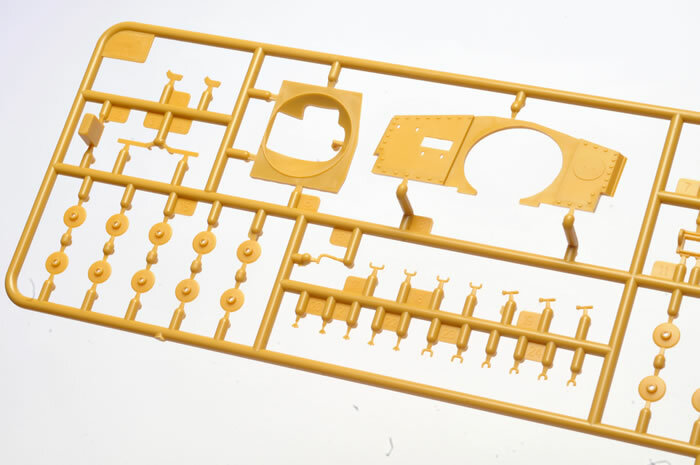 The last part of the running gear is the assembly of the tracks. I generally like individual tracks but these ones are both good and bad at the same time. 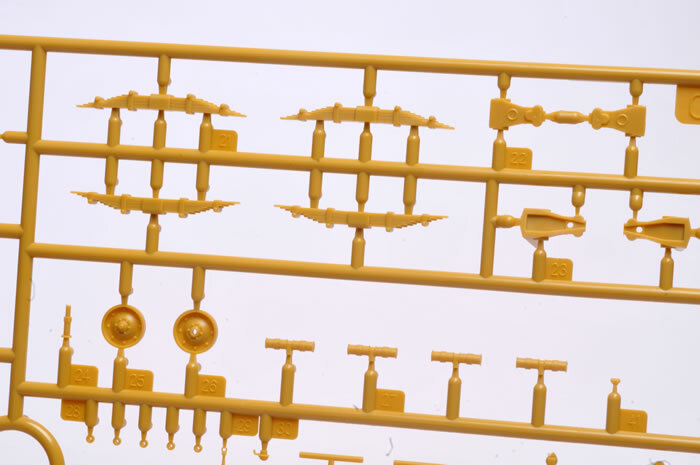 Each track has three quite heavy sprue attachment points and all of these require clean up. The quite distinctive track pin hole has been reproduced as a raised flat disk, this is not correct. When consulting my quite meagre reference photos, one thing did become clear. The recessed track pin opening was indeed prominent and it was going to take a lot of time to fix. I note that a Chinese firm by the name of Spade Ace is now producing a set of white metal aftermarket tracks (Item No. SAT-35119) and if the recessed hole bothers you, a better bet would be to purchase a set of these as correcting the track ends would and is a time consuming exercise. The turret is the last piece of the puzzle and like the hull all the component parts fit very well. 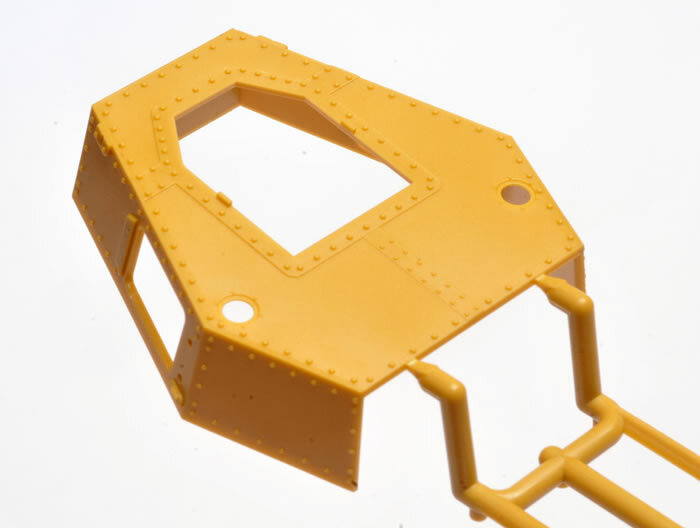 The hatches can be positioned in either the open or closed position and the rivets are masterfully executed. In summary, Bronco’s Turan I is very well done and a credit to the company for being brave enough to release it. 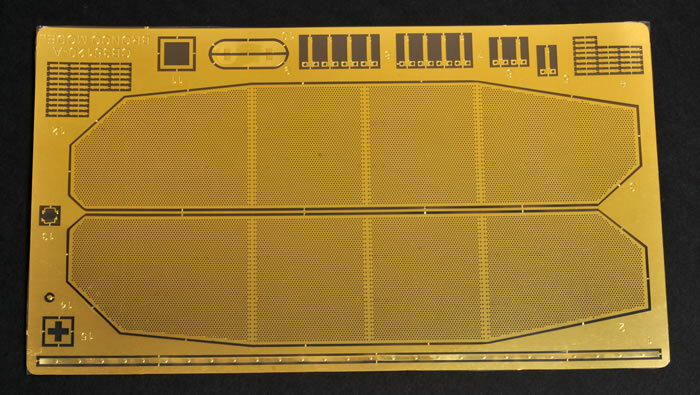 The kit has a number of very good features including the photo-etch being encased in plastic sheeting so that when you cut the parts off from the fret they stay on the plastic sheet, and the option of opening engine panels. 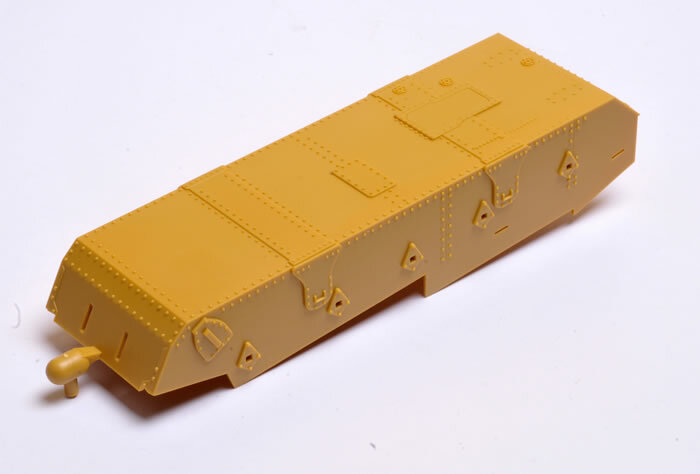 The fit of all the parts is also noteworthy and to be honest this is where almost all rivet hull kits are often lacking. 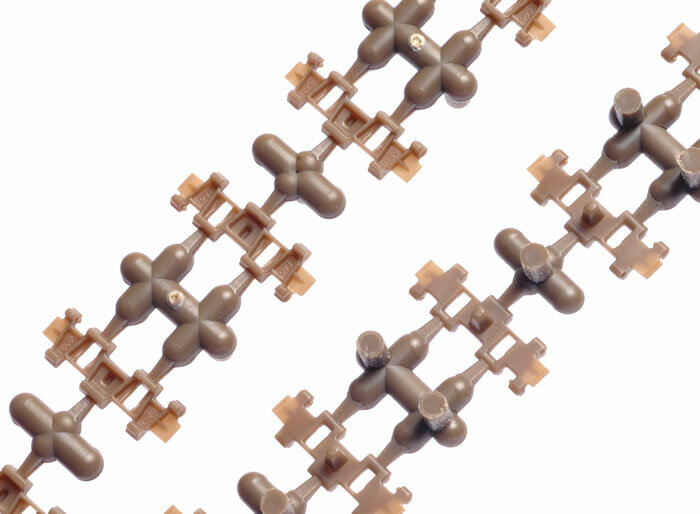 With this kit, the mating surfaces are sharp and this results in nice angular joins with no gaps to speak of. 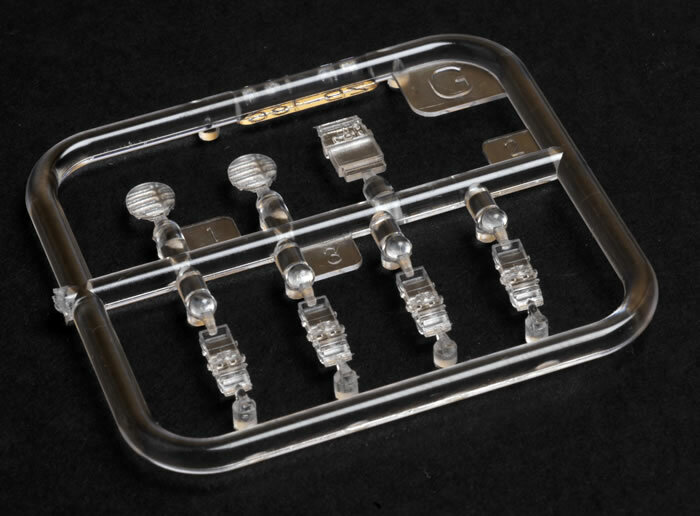 Clear parts are included for the headlight lenses and vision blocks. 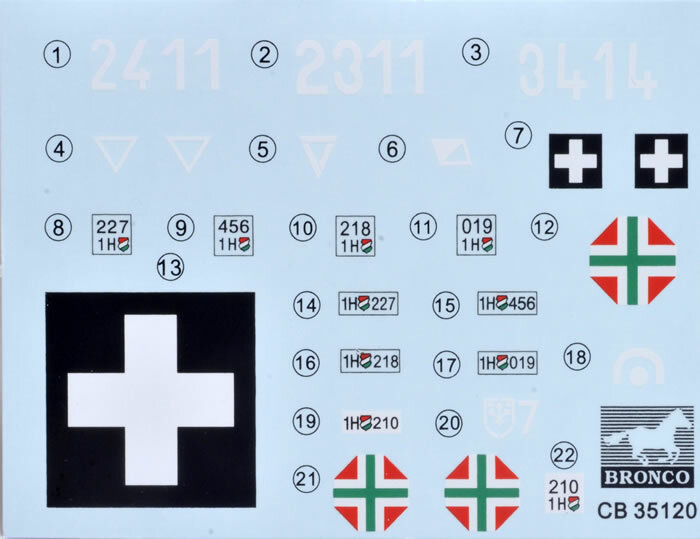 Markings are supplied for five vehicles, including one in winter whitewash. I like this kit as it is refreshingly different and pretty much better than I expected. Bronco kits need a particular mindset. They often don’t go together as quickly as other brands, but they do have loads of details and for the most part are extremely rewarding when complete.